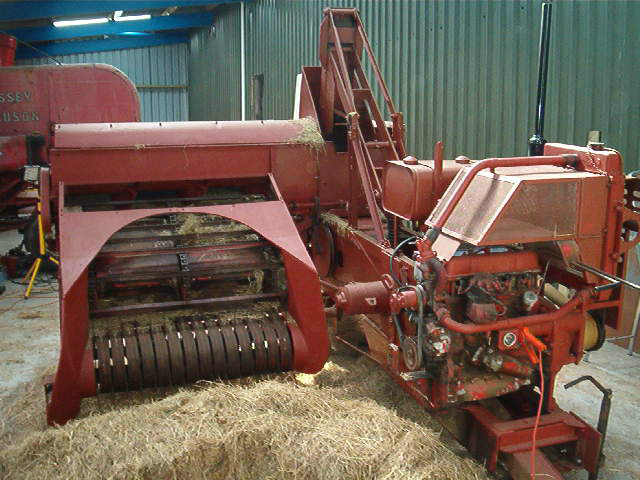 This particular Baler was sat in the front of an open fronted barn for way over 40 years!! 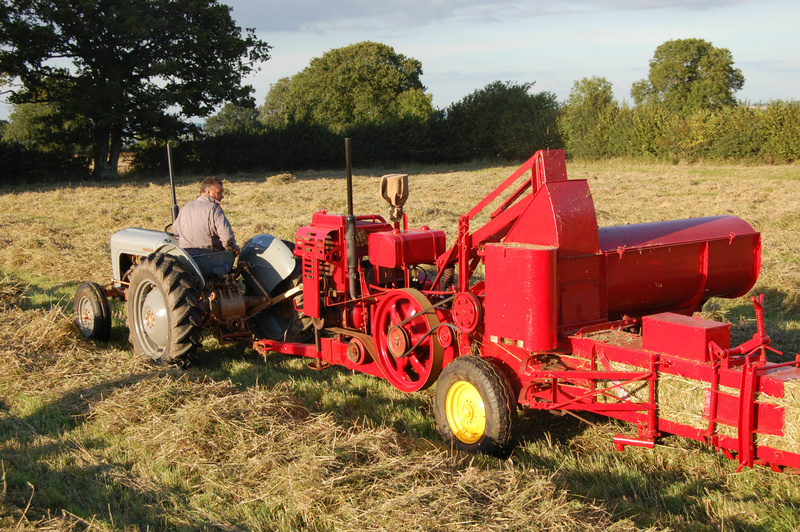 Having never been used or moved in that time, Howard secured the sale and brought the baler back from Hay on Wye to Somerset. 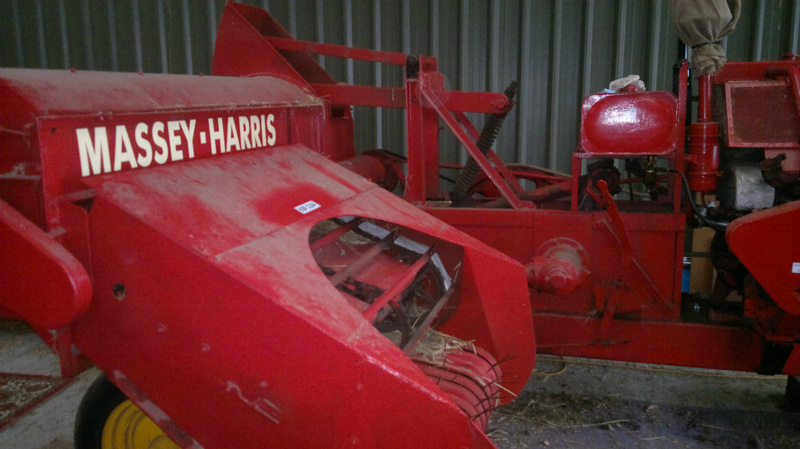 The baler was in a shocking state and it was literally a job to know where to start! The good thing was the engine wasn't seized but literally everything else was. Howard George and Frank his friends spent a lot of time stripping off all the old canvas and seized up parts that needed attention, the knotters were a big problem seized solid and they took a lot of work to free up, the biggest problem on the baler for sure was the plunger in the bale chamber was seized solid as if welded in,despite heat, sledgehammer, bars ,it wouldn't budge so as a last resort a sturdy 12x12 piece of timber was placed into the bale chamber and the baler was coupled to Howards 6610 Ford tractor and with the help of an old slurry ramp wall at the rear of farm the baler was backed into the solid wall against the timber that was protruding out of chamber, this was a last resort measure! And a particularly violent thing to do but after several goes and turns taken by all the plunger moved,however because of the corrosion in the chamber it would not move at full stroke in the chamber. 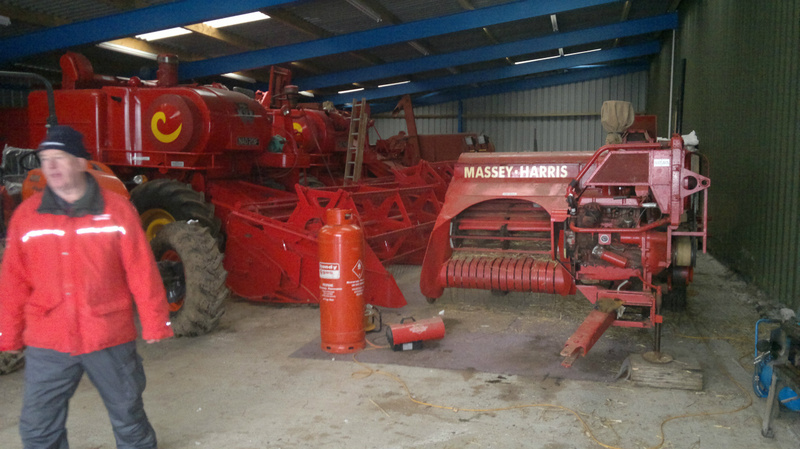 This left Howard with the unenviable task of lying in the back of the chamber for several days with a grinder removing the corrosion. 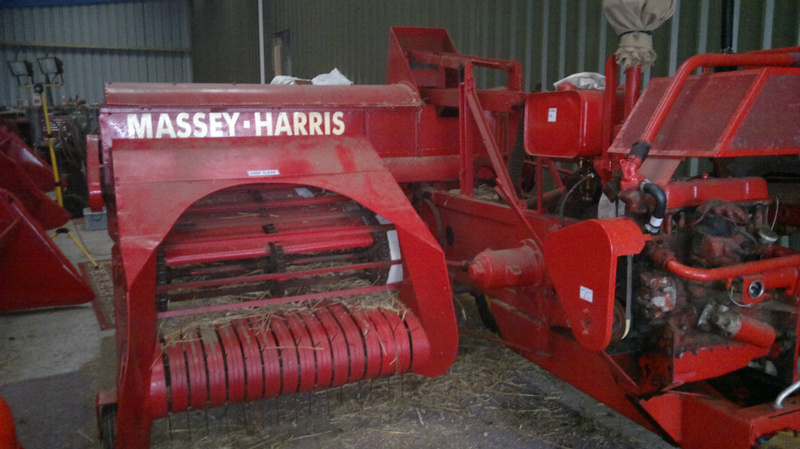 All the belts on the baler were shot including the main drive belt, which had to be replaced at considerable expense, also the canvas around the pick up reel which took a lot of work to remove and 're fit also some difficulty in purchasing the right material. 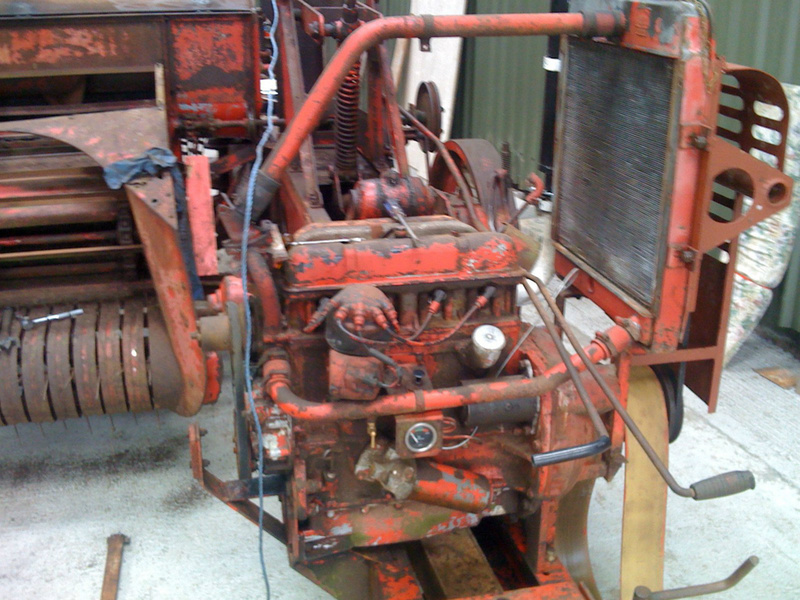 The engine on the baler is a Ferguson TE petrol/ tvo the magneto on the engine amazingly looked in good condition and it was put near a fire for a short while to dry out, but the compression on the engine was so great that a belt was ran from a pully on a tractor and in no time the engine was running again after nearly 40 years! !a great milestone indeed. 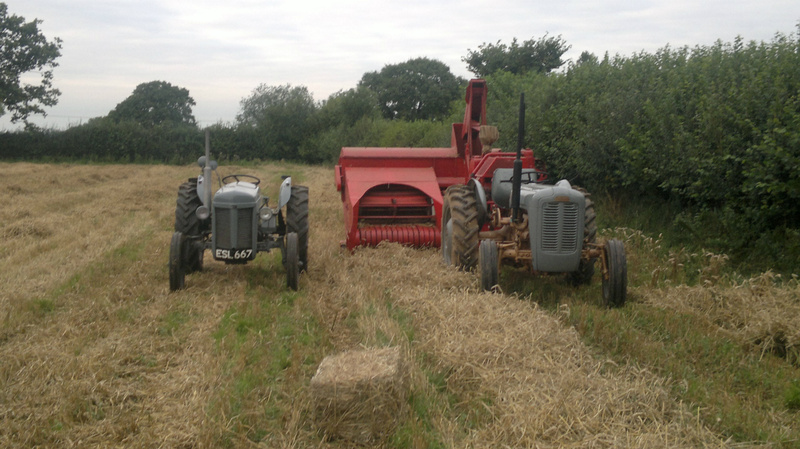 After 18 months of toil the baler started to resemble a baler again the knotters gave great concern 're setting up without any information it was literally trial and error, with a lot of the main items now back in working order everyone agreed to put some hay through baler in workshop before any thought of carrying out the paintwork, this particular task came on a Saturday morning several bales of hay were put through after threading through the twine and adjusting knotters and tensioners etc on the 4 th bale to leave the chamber all was well the small tight bale had came out it was quite a moment for all concerned, the paintwork was then carried out in 2010 and I secured the decals once again from Machinery Decals, we used black and white photos as a template for this purpose. 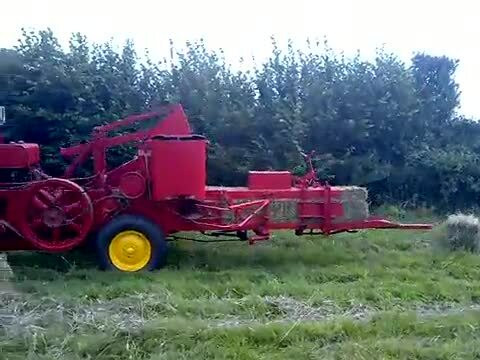 This 1952/3 baler would now live on thanks to the foresight of individuals who believe that the heritage of this machinery should be cherished and passed on to the future generations to detail the history of mechanization in Agriculture. 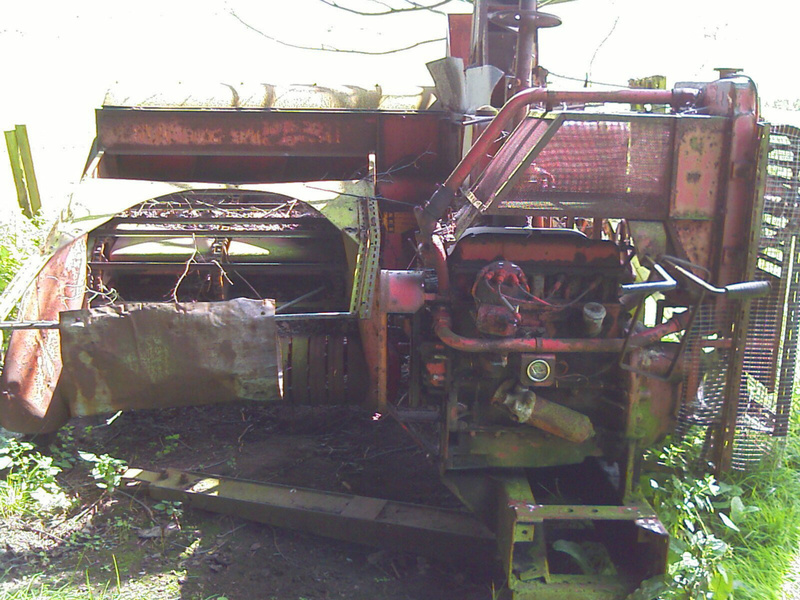 The baler as found! plenty of work to do. 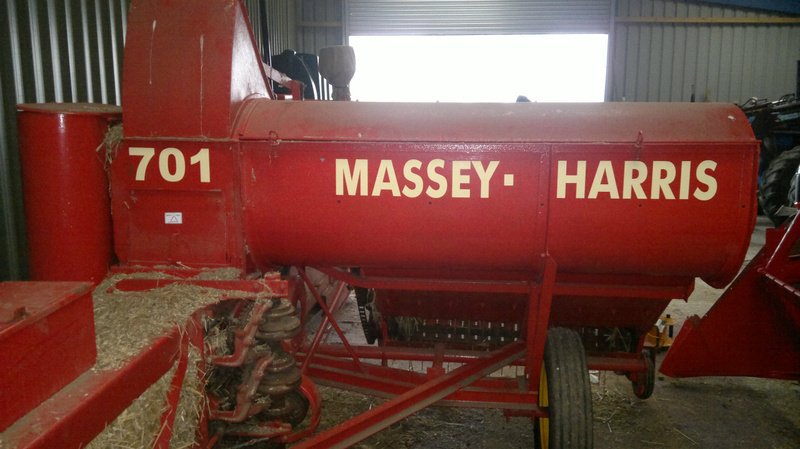 Loading hay into 701following 18 months of restoration!! Rear view of 701 and decals, note the upright knotter aspect! 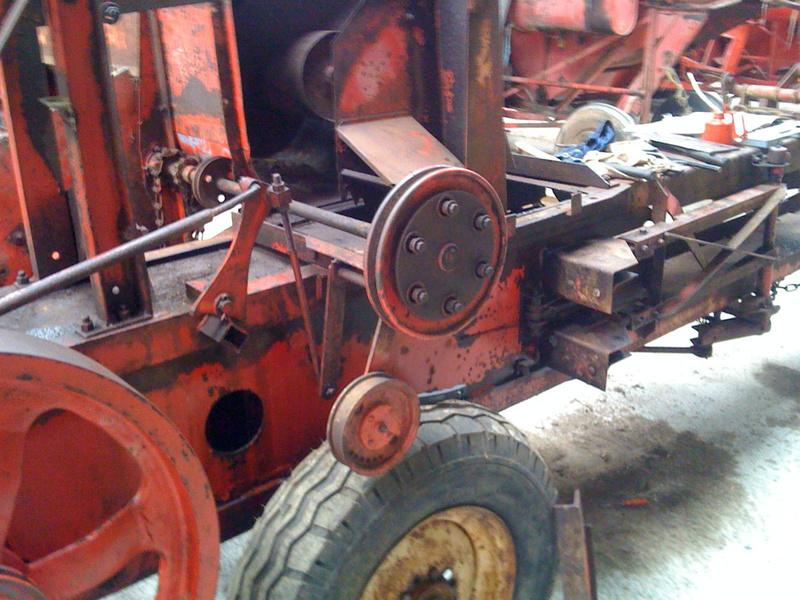 Side aspect, note top feed elevator, these chains required soaking for several weeks in anti seize fluid as to make serviceable again. 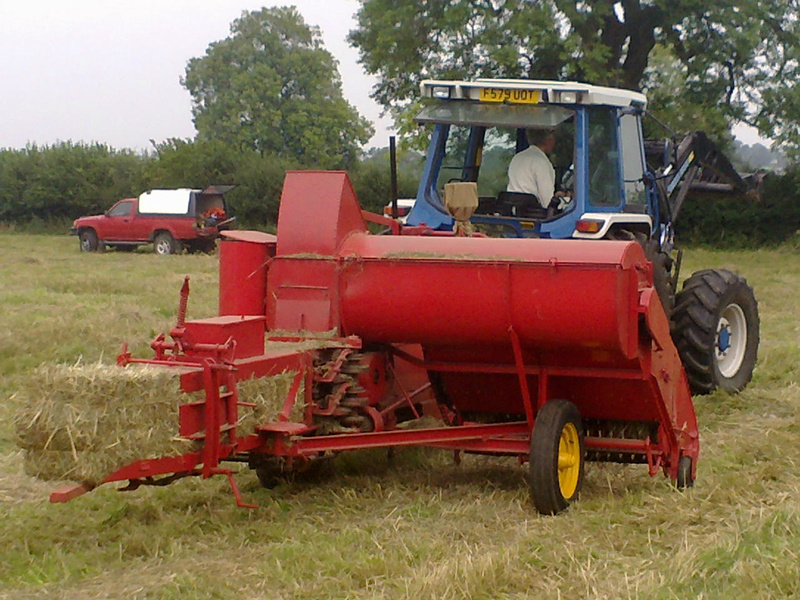 A good side shot of combination.note the packing arm! This arm in motion always reminds me of the sipper oil wells found littered across the mid west of the USA!! 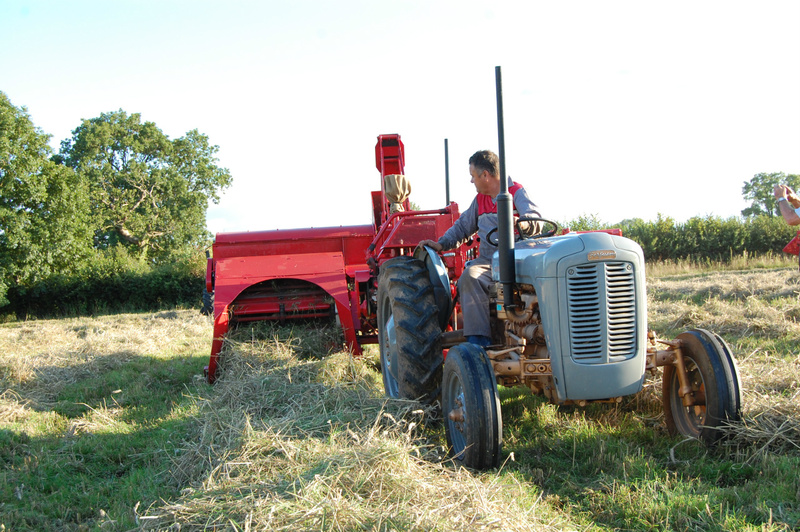 George Greer gives our 701 a workout assisted by owner Howard, film shot with phone ! !